The Starfrit Patty Stacker allows you to make, store and carry your hamburgers all in one convenient unit! 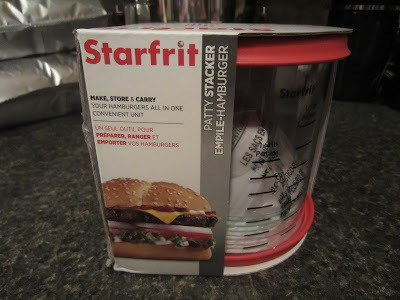 I found the Patty Stacker very easy to use - it makes up to 9 hamburgers in two different size options and with the removable disks, they are separated and don't stick together. 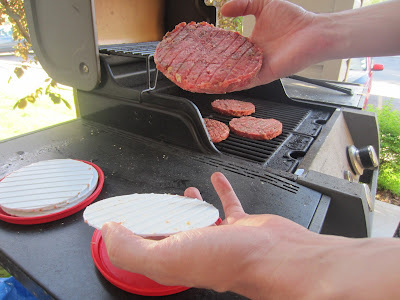 Patty Stacker's hand tool allows you to flatten the ground beef nicely and minimizes hand contact with food.It also gets each burger the same size and thickness, which I love! The container is airtight, which is perfect for storage in the fridge or freezer. 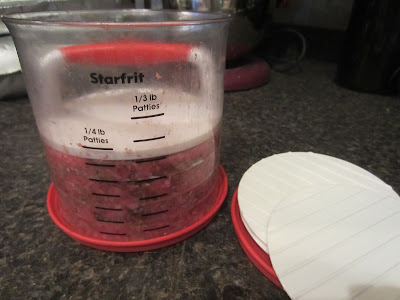 The top and bottom lids make it convenient to press down the burgers into one end and slide them out the other. Once the burgers were made, it was as simple as carrying them right out to the BBQ! Afterwards, a quick wash in the dishwasher got the Patty Stacker nice and clean. 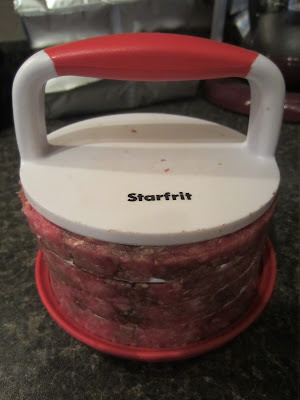 Overall, Starfrit's Patty Stacker was great. It's everything I've been looking for to make that perfect burger and I look forward to using it for years to come.